We have all heard the saying, “you are what you eat,” so it makes sense that our bodies are made up of the nutrients found in the food we choose to eat and has a major impact on how we grow. Children grow at rapid rates, so their nutrient needs are much greater than adults. 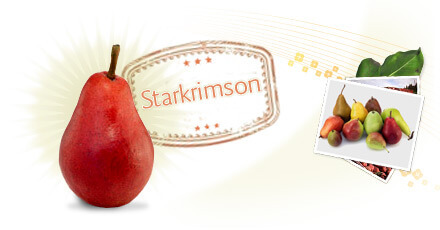 Pears provide ample vitamin C, fiber, and are cholesterol- and fat-free. The more fruits and vegetables in your children’s diet, the stronger they will grow. Vitamin C helps your child build strong muscles, blood vessels, bones, and teeth. Fiber helps keep your child regular and prevent blood sugar spikes. Unfortunately, several diseases have been shown to start early in life. By including more fruit in your children’s diet, you can help prevent these illnesses. Most of us think of heart disease as an adult’s illness, but recent studies show that heart disease can begin to develop in adolescence. Eating fruit and vegetables like pears can help fight the onset of heart disease when included in an overall healthy diet. Pears contain antioxidants and have antioxidant vitamin C, which protects against oxidative stress that may lead to heart disease. Pears are also a great source of fiber, which has been shown to reduce cholesterol and decrease the risk of heart disease. Weight gain and obesity are becoming increasingly common in younger generations. Nutrient-dense pears are a tasty choice when it comes to weight management. Pears provide fiber and water, which help fill up small tummies. Pears are also portion-controlled and portable, so they make for a healthy snack on the road or at school. Indeed, increasing fruit and vegetable intake might be the best way to battle the bulge. Help your kids stay healthy by including more pears in their diets. Don’t forget to be a good role model and eat your fruits and vegetables; your children will watch you and eat theirs, too. Pears have other benefits for kids, too. Dietary fiber reduces constipation, which is a struggle for many children. Fiber also reduces the rate of sugar absorption, which will limit blood sugar spikes. When kids consume sugary snacks or processed food, blood sugars spike quickly, then drop quickly. This sends kids running to the kitchen for another treat, usually something sugary. 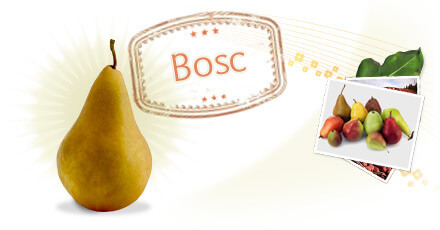 The dietary fiber in pears limits the rate of sugar absorption. By eating high-fiber foods like pears, kids may stay satisfied longer, learn to control their appetites, and make healthier choices. Ultimately, including more fruits and vegetables in the diet helps kids develop their own tastes and cultivate lifelong healthful eating habits. Studies suggest that kids who eat more fruits and vegetables eat more fruits and vegetables as adults, too. So if we really are what we eat, then shouldn’t we eat healthy foods throughout life to be healthy people? Of course! Include pears and other fruits and vegetables at every meal. Think outside the pencil box! Share a pear with your favorite teacher this school year. Download a Pears for Teachers sticker and bring a smile to your teacher’s face. Cooking with your child is a great way to expand their science, math and language skills while spending quality family time.